TravStar1 Point Of Sale SystemRegister Manual Basic Employee FunctionsHow Do I Login to the POS? How Do I Login to the POS? This lesson will teach you how to log in to the register. 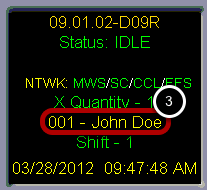 The store manager must set up your code and password on the Manager's Work Station. This indicates that no one is currently logged on to the register. The Cashier Code 001 is just an example. Your code can be any number from 1 to 999. • Select the button labeled "Login" on your register screen. 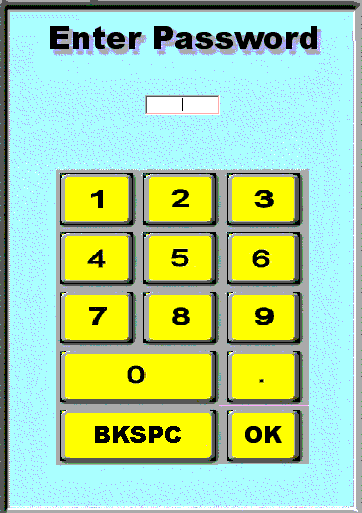 • Type your 4-digit password using the on screen keypad or the number pad on your keyboard. • After you have entered your password, you should see a message confirming that you are now logged in to the register. • Carefully re-enter your password, making sure to enter the correct numbers. • If you used the number pad on the keyboard, make sure that "Num Lock" is on. • Check with your store manager to make sure that your cashier code is correct in the Manager's Workstation. • With the store manager create a new password in the Manager's Workstation. Prev: What are the Different Parts of the Register Screen? Next: How Do I Logout of the Register?